During your first two years at the University, you’ll be amazed at the flood of exciting ideas you’ll encounter in your classes. You’ll learn more than you ever thought possible about the wide range of majors and minors you can choose from. But all those options can be overwhelming and leave you thinking, “What’s the right major, or right combination, for me?” Rest assured: Advisors in the College of Arts and Sciences are ready to help. Matt Chenault, an advisor in the A&S Student Services Center, specializes in helping incoming freshmen and undecided students determine where their interests lie. Chenault said that he encourages students to be ready to declare a major at the beginning of sophomore year. So how do you prepare for that step? Students considering a major in the College of Arts and Sciences or those who are undecided fall under the umbrella of A&S Advising. On the A&S website, under the Advising tab, students should first consult the How A&S Advising Works and Frequently Asked Questions pages for guidance on how to obtain advising. Students may schedule an appointment with their advisor through our Get Advised page. For those who would like general guidelines on how to go about deciding on a major, Chenault would encourage them to first examine their academic, career, and personal interests. There are several online resources for finding majors at UA, including the UA majors list. This page provides a list of all majors offered at the University, along with four-year degree plans for each of them.  The A&S majors and minors page lists programs offered within the College of Arts and Sciences. “UA has a number of excellent resources that students may use to explore major/career related interests. I encourage students to connect and engage with their professors regarding their major and career interests,” Chenault said. “In addition to meeting with faculty, using departmental web pages to explore major/career interests can prove to be invaluable to students seeking additional information on a particular major,” Chenault said. Chenault says that the UA Career Center is another excellent resource for students seeking to pair an academic major with a future career. The Career Center is located on the third floor of the Ferguson Center and online athttp://career.ua.edu/. Choosing a major can be one of the most difficult decisions a college student will make, and it’s one that doesn’t always stick the first time. Some students change majors in the course of their university experience, while others stay on the same career track they chose when they started. For more information about A&S advising, please visit http://as.ua.edu/advising/.